visually addictive // Run by creatives for creatives. Founded by photographer Zoé Michelle. Dreamingless aims to celebrate and showcase creativity with it's striking editorials. we're a bi-monthly magazine, always looking for beautiful, bold and interesting editoriALS. AS A SUBMISSION BASED MAGAZINE WE MUST. BE STRICT ON OUR GUIDELINES. Submissions must be completely UNPUBLISHED (including THE ARTISTS social media). We reserve the right to pull any submissions SEEN published elsewhere. We're an open themed magazine. Submitters MUST submit an unpublished existing series or an exclusive for us ONLY. Any team member is eligible to submit, however we would also need a photographers email UPON ACCEPTANCE OF SUBMISSION. Submitters must provide information regarding the entire team when submitting. Although we mainly take on editorials, we also accept written submissions and all things in-between (illustration, graphics etc) SO DON'T LIMIT YOURSELF. We're happy to provide pull letters upon request IF WE LIKE THE moodboard & TEAM. Please send the portfolios of photographer & stylist in your request email. 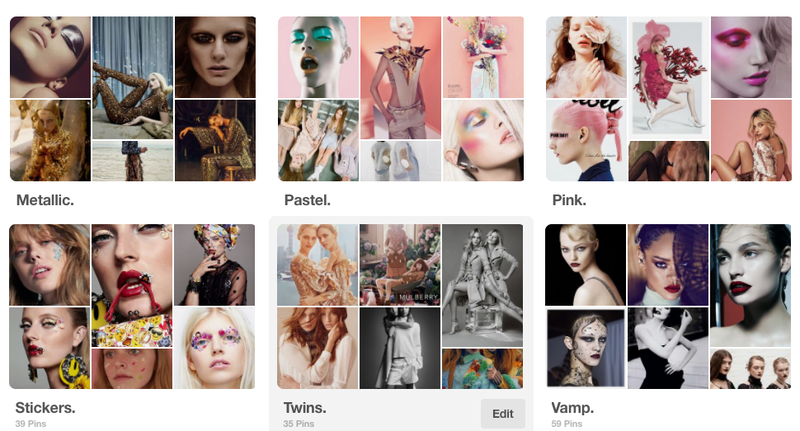 We have put together some moodboards we find particularly visually stimulating (click here to have a peak!) that may spark your creativity. we are not theme based anymore but please feel free to use these as a rough guide on your editorials and expand them on your own, but remember the moodboards are there for inspiration not instruction, and we love to see your original and inspired ideas. Like our style? We're always looking for talented writers to join our team on a monthly or infrequent basis. When it comes to written submissions - we're open to whatever you as a writer wants to do. This could include anything from trend articles, style pages, opinion pieces, book reviews, travel journals and much more. If you have any particular images that you would like to be paired with your article, please provide us with either links (the larger the size, the better) or as an email attachment. You must provide us with the source link to each image if sourced from the internet. Images are not compulsory but preferable. Minimum word count - 200 words, Maximum word count 3000, but this may vary depending on content. When published with us your name will be credited in the article within the magazine with link to your professional website if given to us. If we're both happy with the arrangement, we would be happy to discuss a monthly feature within our pages of Dreamingless. We're bi-monthly and come in 6 part 84 page issues, with 6 different covers containing different content. to make print on demand more affordable for our overseas submitters. Please check description of our digital or print copies to find your name. Alternatively, you will receive an email on release day letting you know which issue you are in. + If we do not receive all the information we've asked for by deadline day (5th monthly), we have full rights to discard your submission.